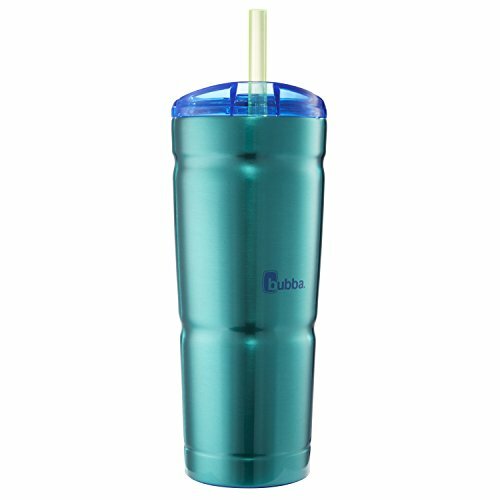 The Bubba 24-Ounce Envy S Water Bottle (Island Teal) is designed for personal use and is perfect for use at work, at home or on the go. The stainless steel bottle features high-quality food-grade, BPA-free construction for durability. The dual-wall vacuum insulation helps keep drinks colder longer. It also includes a plastic straw with a stirring flap to easily mix powders and to conveniently sip from. The silicone base provides a skidproof bottom to prevent sliding. If you have any questions about this product by bubba, contact us by completing and submitting the form below. If you are looking for a specif part number, please include it with your message.